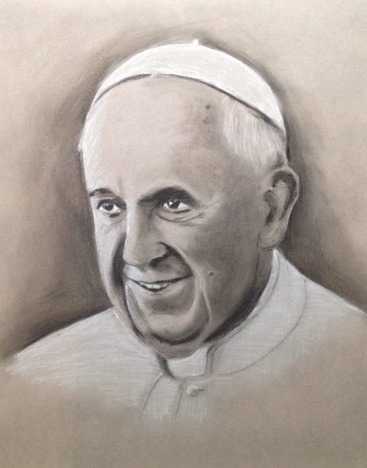 The encyclical, Laudato Si, is turning out to be Pope Francis’ calling card. He has addressed it several times already in his remarks in Ecuador and Bolivia, most recently this morning in his address to the civil authorities of Bolivia. Likening gratitude and responsibility to the grandeur of mountain glaciers, the pope bid the leaders of Bolivia to be mindful of the interrelation of every human being to nature, society, politics, and economics. Note in the following excerpt Francis’ expression for this connectedness – integral ecology. Integral ecology is an expression that has been around for a while, but now has taken on new meaning in the papal encyclical, which devotes an entire chapter to the idea. The term denotes the care for creation understood in its widest sense, involving nature and individual and communal humanity together. The best way to grasp the meaning of the expression in the context of papal encyclical is by reading the document itself. Commentaries, though, have begun to appear. The following link has some helpful information on the currency of the term at the Vatican on the eve of the encyclical. 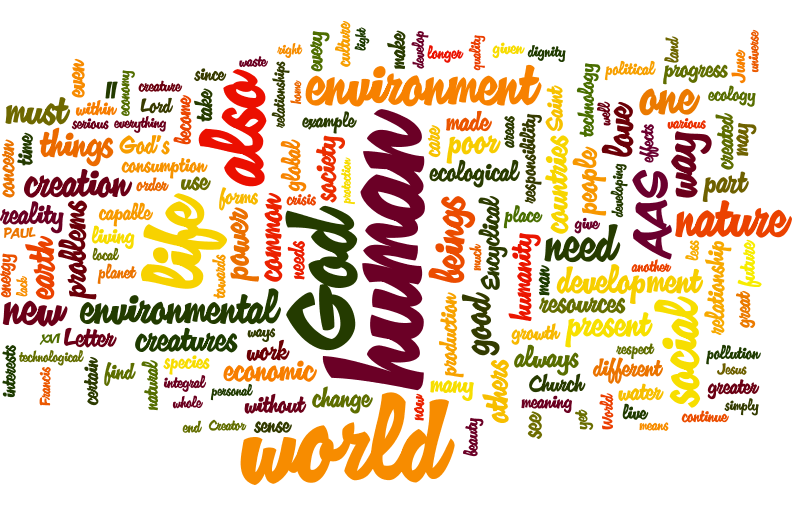 A nice visual way of getting the sense of integral ecology is a “wordle” view of Laudato si. Life, God, human, world, environment, and nature vie with the word “also” which reminds us of the interrelation of all the realities behind the terms.